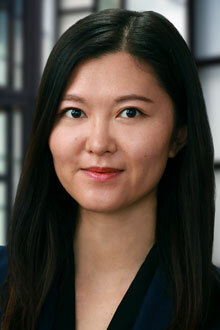 Claire (“Yifei”) Chang is an associate in the Sacramento office of Lewis Brisbois and a member of the Labor & Employment Practice. Before joining Lewis Brisbois, Claire worked at the Los Angeles City Attorney’s Office where she assisted in defending the City of Los Angeles in various employment lawsuits. While in law school, Claire represented an indigent client on his criminal appeal to the United States Court of Appeals for the Seventh Circuit as a student attorney. As part of her representation, she presented oral argument before the Seventh Circuit in April 2017 and won a resentencing hearing for her client. In addition, Claire worked as a legal intern at the Chicago Transit Authority’s employment & labor department in 2016. During her first summer in law school, she clerked for the Honorable Michael M. Mihm of the United States District Court for the Central District of Illinois.